It’s hard to ignore the growing popularity around blended beverages. The iced beverages that take popular coffee flavours, chocolate and fruit blended together to create a frappe or smoothie. Beverage Menus have been expanded as vendors try to lure customers away from the popular traditional beverages and soft drinks by promoting flavours that appear less sweet and are more fun. Smoothies have been a big benefit to coffee houses as they are known as the healthy beverage with added health benefits and appeal to that wider range of health focused customers. Innovation and creativity are key when it comes to adding new beverages to a menu, as the market itself is already crowded with new beverages targeting customer palates. The beverage trend initially started in warmer climates where warm food and a hot drink were not an ideal pairing; blended variations of the beverages were offered such as Iced Coffee and Iced Tea – infused teas also helped push the blended beverages growth with the offering of new and different flavours to an otherwise traditional and plain beverage. Soon the trend of blended beverages had been introduced to different climates and markets, where the demand and growth began. According to Tea and Coffee online, blend beverages have increased at a rate of 6.8% per year over the past 5 years. Beverage vendors and restaurants who were first sceptical about adding the new beverages to their menu now see that it is exploding within the market and has become one of the most profitable menu options. The popularity in the market is due to a number of contributing factors such as flavours, selection, customisation and innovation. 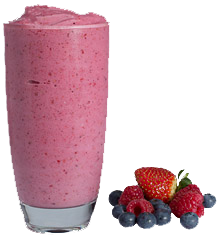 Smoothies for example provide an efficient meal replacement or in between snack, while also offering a daily serving of fruit if made from fresh fruits and not fruit syrup. The popularity around blended coffees is the change in texture and temperature, compared to drinking traditional coffee, the blended variation offers a refreshing blend of flavour while also being something different. The food and beverage market is saturated with new products being launched on a daily basis. Although the demand is clear for blended beverages, the first initial change to a menu can have owners sceptical and all contributing factors must be considered – equipment, time, profitability and product. These factors are the make or break of a new product, especially within the beverage market where there is approximately 1000 new beverages trialled in the market place each year. Blended beverages are just that – blended. There is no need to buy new equipment that will take up more room in the kitchen, the equipment needed to create gourmet blended beverages will more likely than not already be in use in the kitchen. As long as the kitchen has a blender, the beverage opportunities are endless. On average a blended beverage takes approximately 2 minutes to create, which is broken down to 30seconds preparation, 30 seconds blending and 1 minute to decorate and serve as desired. In high traffic coffee shops and juice bars, time is crucial because the majority of customers are looking for an in and out system. Blended beverages provide a quick and easy alternative to the original favourite beverages. There is no doubt that adding cooler, blended beverages to any beverage menu will grab the attention of a broader demographic and boost sales. 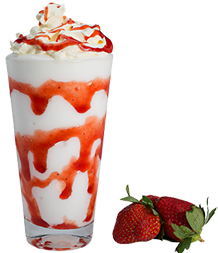 With the average price range of being $ 5.00 - $7.50, blended beverages may be among the most profitable offerings of any menu. With expenses for equipment and ingredients being low, companies have the ability to generate high profits with all-in-one beverage powders and fruit based smoothies. Blended Coffee alone has a high profit margin of 65% - 70% according to Mintel research and smoothies topping $2.7billion in 2007, with Mintel predicting growth to continue to drastically rise. The variety of flavours and customisation is the driving force behind the blended beverage popularity, with vendors using neutral frappe and smoothie bases. The beauty of using neutral bases is the ability to create endless beverage offerings with mixing different flavours and added toppings. 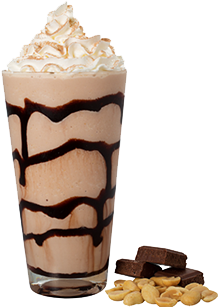 One pack of neutral frappe base lined up with different flavouring syrups and ingredients can create a number of different offerings to fill an entire beverage menu. While the standard and traditional beverages are still thriving in the market, blended beverages offer customers a chance to experiment more at different times of the day and different weather climates. They also appear to a wider demographic of customers and a wider market with fruit based smoothies appealing to the health market. Naming signature beverages after the popular chocolate bars and sweet treats, frappes appeal to the sweet tooth of customers and colder drinks suit the needs when coffee just isn’t cutting it. Blended beverages are a new way to help create opportunities to watch sales grow, generate traffic and buzz and attract the new crowd of customers.